Welcome to Big Apple Automotive! Since opening our first location in 1978, Big Apple Automotive has helped vehicle owners get the high-quality auto care they rightfully deserve. 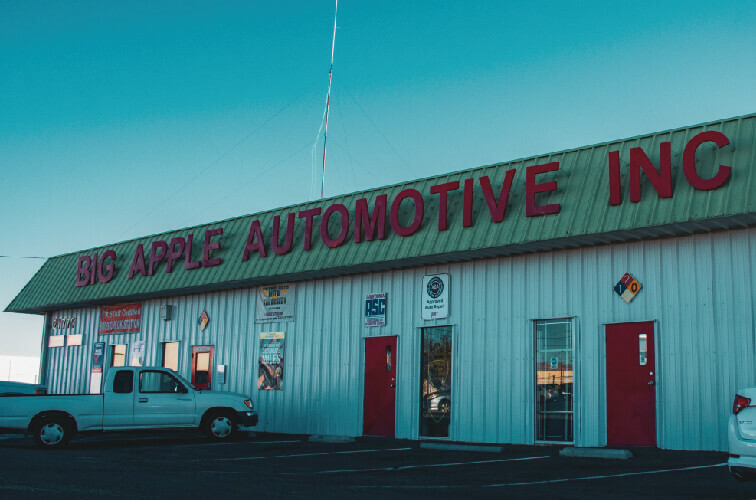 With three locations spread across Apple Valley, Victorville, and Hesperia, we proudly serve motorists all over High Desert, California. When we opened our first shop in Apple Valley, we never thought our business would span three locations. 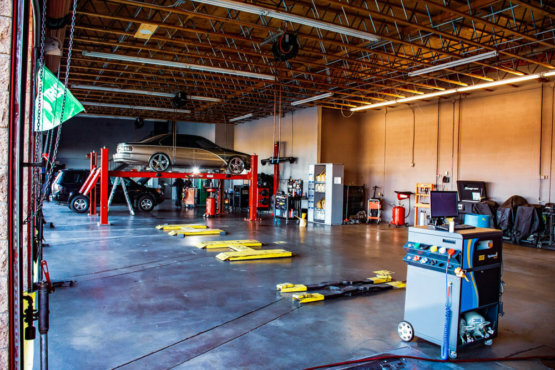 Now, after over 40 years of service, we’ve helped thousands of motorists all over the Victor Valley and Apple Valley area receive the quality auto care and proper automotive education they need for their vehicle to perform at its best. We are a full-service auto repair facility that comes stocked with state-of-the-art OEM tools, components, and equipment. We are available to all makes and models and happily accept walk-in customers! 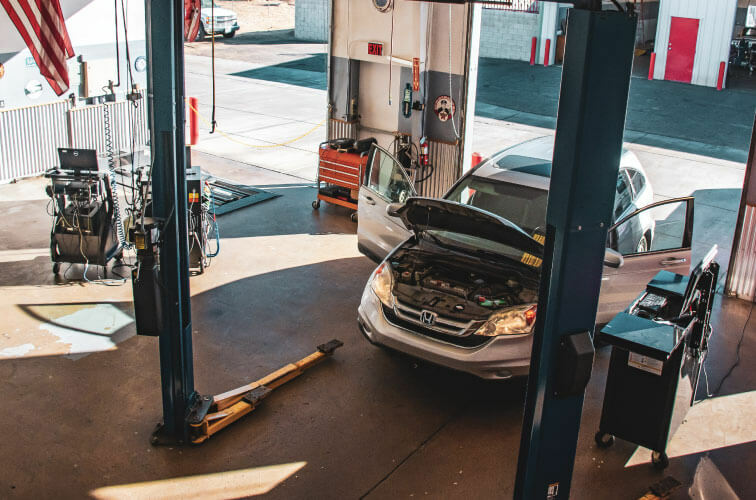 Our services include but aren’t limited to general preventative maintenance, brake repair, oil changes, engine light diagnostics, tire repair, transmission repair, and more! Have somewhere you need to be? Let us help you get there with our free shuttle service. Have time to spare? Feel free to spend it with us, as we have a comfortable waiting room equipped with free wifi. Car break down on the road? We offer towing & roadside assistance and we’ll be happy to come out and assist you! Give us a call at 760-247-7255 and learn how we can help you and your vehicle! Our team of tire specialists can help you choose the perfect tires for your vehicle based on the type of driving you do, and the budget you’ve set for your new wheels. There are a lot more to picking out tires than simply knowing what size your car takes – there’s factors like tread depth, speed rating, and maximum loads to consider, not to mention options like up-sizing to a larger tire as well. We could have a state-of-the-art facility, the latest OEM resources, and a comprehensive list of services, but that all goes to waste if your vehicle doesn’t have a strong team behind it. At Big Apple Automotive, we recognize how important it is to have a top tier team of automotive professionals, and we’ve made sure our shops are staffed with the best. You’ll recognize this the moment you walk into our shop, as you’ll be greeted by our service advisors, who use their understanding of our business, services, and the industry to provide auto solutions that work. Once the services are approved, our technicians get to work. ASE Master Certified, they use their years of experience to handle every problem and service with the quality and precision you’ve come to expect from our shops. Know that when you visit any of our three locations, you and your vehicle will be working with the best automotive teams in the state. 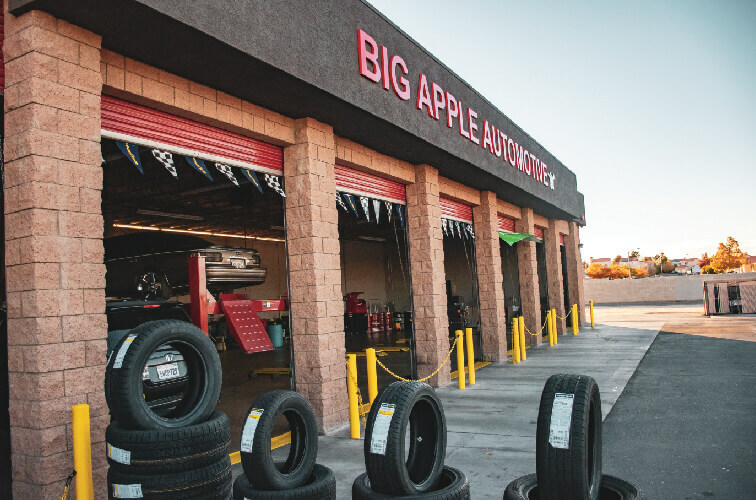 At Big Apple Automotive, we want to make sure that your time with us is always convenient, whether it’s during the service or well after your visit is over. We accomplish this by offering honest, transparent counsel, quality auto repairs, and a competitive coverage plan. Our NAPA Warranty Guarantee has you covered for 12 Months/12,000 Miles on parts and labor. Are you a AAA member? If so, your coverage extends to 24 Months/24,000 Miles! If you notice something wrong with your vehicle after service with us, just return to our facility and we’ll handle the issue at no extra cost to you. "The customer service is off the charts friendly. They have been very honest with me which for me is less stressful. I had a smog done my 1st visit, and an inspections my 2nd visit. Both visits were good, and If you have AAA you get a discount. They are also very prompt and give good time estimates for how long things will take and when they'll be ready." "I can not express the service I had! What a pleasant SUPRISE! I was greeted at the door of my car by Stanley! He walked me into the waiting area and I met JoAnne! She is so sweet and pleasant! Everything was explained to me as to what was done and what they were doing! I HIGHLY recommend Big Apple located in Apple Valley. 21139 Bear Valley Rd.! I've NEVER had this kind of service! Wonderful! Thank you JoAnne"
"They quickly found the problem we came in for, which was simple, but also noted a transmission leak and replaced the leaking seal in the same visit. It's good to know that problems we don't know about are found before we get into trouble."